My mother’s final illness presented itself to me after I’d been involved in the field of bioethics for years and had thought long and deeply about end-of-life decisions. She had dementia, and before the dementia she’d been fiercely independent. Her two years in a nursing home were joyless. She’d been successfully treated for pneumonia, but two weeks later contracted it again, with complications. The nursing home doctor presented us with two choices: we could make her “comfortable,” or we could send her to the hospital for “exploratory surgery.” I had no doubt in my head what my mother would want — to have a comfortable death, not to have her life prolonged with procedures that were likely to be futile, painful, and disorienting — but at the moment the doctor posed the question I couldn’t access my head. The finality of the situation felt paralyzing, while making the decision to hospitalize her was a decision forestalling finality. "After my mother’s death I wanted to help create environments that implemented the wisdom of the nurse practitioner. Where families are asked: “What would your loved one want? And what’s the real prognosis if you choose a medical intervention?” These questions can make all the difference." A nurse practitioner, overhearing my conversation with the doctor, put her hand on my arm and said, “I want to suggest you keep two things in mind: What would your mother want? And what’s the real prognosis if she goes to the hospital?” Her questions were incredibly helpful, breaking the spell I was in, and helping me refocus on what this was really about — my mother’s wishes and the implausible prospect of her recovery. At that point I decided not only to honor my mother’s wishes, but also to give her the best possible death. Phoning the family, we all gathered around her for a full week, singing, telling stories, playing her favorite music, embracing her. The decision to hospitalize was the path of least resistance, but most likely would have resulted in her dying in an intensive care unit, far removed from the loving, peaceful surround of family and familiar caregivers we managed to create for her. What lesson did I extract from all of this? That people make these decisions in the snap of a finger, with tremendous weight pushing in the direction of medical intervention. But this latter decision also forecloses opportunity. The choice to forgo futile treatment and to create a meaningful death is proactive too, but that’s hard to grasp in the moment. In the American health care system today, hardly anyone dies without the decision to forgo a medical intervention. After my mother’s death I wanted to help create environments that implemented the wisdom of the nurse practitioner. Where families are asked: “What would your loved one want? And what’s the real prognosis if you choose a medical intervention?” These questions can make all the difference. 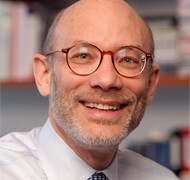 Len Fishman, Visiting Scholar at The Heller School for Social Policy and Management at Brandeis University, and Former CEO, Hebrew SeniorLife, is credited with leading the Boston-based facility’s transformation from a long-term care organization to an integrated health care and housing system, serving seniors of all faiths and incomes, increasingly in community-based settings. Fishman has broad experience in the fields of health-care and senior services. He served as commissioner of Health and Senior Services in the cabinet of New Jersey Governor Christine Todd Whitman and was president of the American Association of Homes and Services for the Aging the 6,000-member national organization of nonprofit long-term care and senior housing providers.